One of the best things in old Havana are the streets with colourful buildings and its Classic cars that people like to flash around. These have been in the country before 1950’s and can be seen in flashy colours. 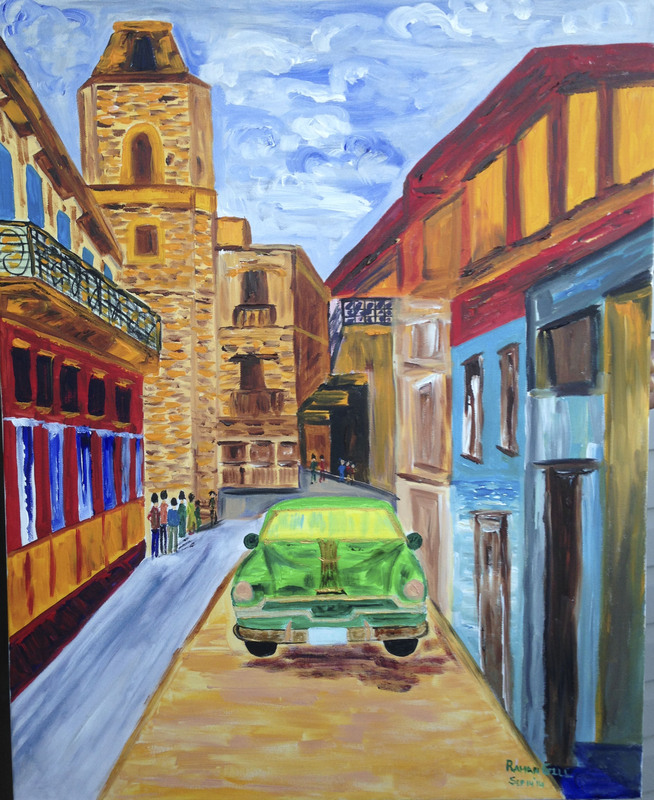 My todays painting was in acrylics- ‘Havana Street’ size- 20 x 30 inch. My focus here was to capture the essence of my travel and the wonderful time I had in Havana. Also I wanted to create texture and bring the brightness in the canvas.